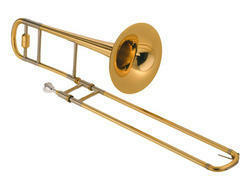 We are the leading organization in the industry to provide our clients the best quality array of Tenor Trombone. We are an acknowledged organization engaged in supplying and exporting a superior quality Trumpets. These are supplied in the specifications detailed by the clients. 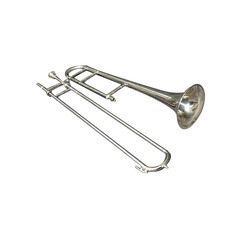 Amongst Trumpets, most common format is a transposing instrument pitched in B flat, wherein the note read as middle C sounds as the B and flat 2 semitones below. Besides, we offer many other trumpets for our treasured clients. Enriched by our vast industrial experience in this business, we are involved in offering an enormous quality range of Antique Brass Trumpet. We are dedicatedly involved in providing an excellent quality array of Musical Trumpet, for catering the various needs of our clients. We are the remarkable entity, engaged in offering a superior range of Musical Trumpet to our valued customers. These products are designed from high quality components.